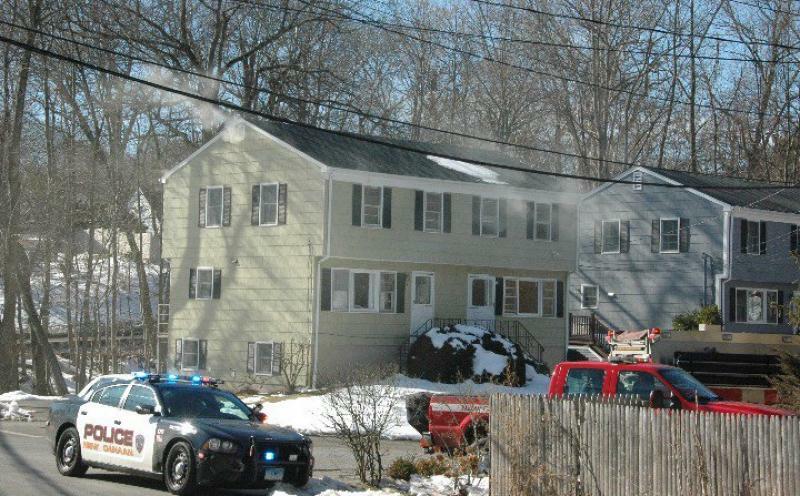 At approximately 1:45pm, the NCFD was requested to respond to a home on River Street for smoke in the house. Upon arrival, heavy smoke was observed from the eves and second floor. Engine 1 quickly went to work finding the fire in the walls on the second floor. Tanker 8 established water supply and provided ventilation. The fire was knocked down quickly with no injuries reported. Wilton FD assisted with overhaul and Norwalk provided RIT. Addition tankers were requested but cancelled.